The alarm rings, you roll out of bed and the daily routine begins. You workout, shower, blow dry your hair and if you have enough time (which we all know never happens) grab breakfast and you’re out the door. Forgetting anything? MAKEUP! Ever see a woman in the car putting on lipstick, or worse, applying mascara? Some women do their entire makeup routine in the car on the way to work! Not only is that dangerous, but how good do you think your makeup is going to look if you’re applying it in your rearview mirror at a stop light! You’ll probably end up doing it all over again in the bathroom at work. “Professionally, there is a level of ‘put togetherness’ which is expected in the corporate world. Think about it – looking fresh, healthy and responsible is reassuring to clients. They are counting on you for ‘something’, if you don’t take care of yourself they may question what you will do for them” explains one Corporate Woman. How about if you’re a stay at home mom, retired or have a job that doesn’t require you to wear makeup? A local nurse confesses “professionally makeup is not needed but personally it just makes me feel pretty”. And then there are the patients, their challenges are even tougher. Medicine makes the skin dry out, lips to become chapped and some more serious illnesses can even cause the eyebrows and eyelashes to fall out. One thing is certain, we look better and feel more confident with makeup on and we all deserve to look and feel our best no matter what our situation is or what time constraints we have. But what if you could wake up with your eyeliner, brows and lips all done and can go about your day knowing it won’t smudge or fade? Sounds like a dream right? Well at The Permanent Cosmetic Studio we can make this dream a reality. Just imagine what you could accomplish if you had an extra 10 to 20 minutes a day (or 30 to 45 for some women) by eliminating the makeup portion of your daily routine. How would it make you feel knowing you always look polished and beautiful when you are at work, running errands, at the gym, or even at the doctors. How would your life change if you could break free from the mirror and spend that extra time sleeping, meditating, or spending time with your family? If you are interested in the idea of never applying mascara, drawing in your brows or even putting on lipstick again, schedule a free consultation to discuss cosmetic options and pricing. We’ll show you exactly how it’s going to look and how we can give you your freedom back! Visit our website www.permanentu.com for contact information, before and after pictures, testimonials and referring physicians. The Permanent Cosmetic Studio sends blessings and encouragement to all affected by Breast Cancer. We enhance the lives of women and support women’s health by only using organic permanent cosmetic pigment, free from additives, while providing women with the confidence boosting benefits of wearing makeup without the hassle. For more information on Carmella’s magic visit: www.permanentu.com. “Thank you for performing a miracle.” – L.E. Carmella Gibellino-Schultz is a licensed cosmetologist and has been practicing the art of permanent cosmetics since 1999. In both Delaware and PA she has performed thousands of procedures and her impressive portfolio speaks for itself. Former owner of The Skin Care School and Center, her expertise and years of experience have made her the areas most sought after permanent cosmetics artist. Dr. Fanny J. Berg M.D. Dr. Peter R. Coggins M.D. Dr. Joseph J. Danyo M.D. Dr. Jillian Banbury M. D.
Dr. Katheryn M. Warren M.D. Dr. Paul Sabini M.D. F.A.C.S. 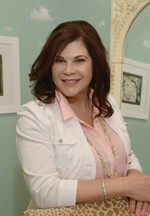 Dr. Lisa W. Hostetler M.D. Delmar Surgical & Cosmetic Treatment Center.